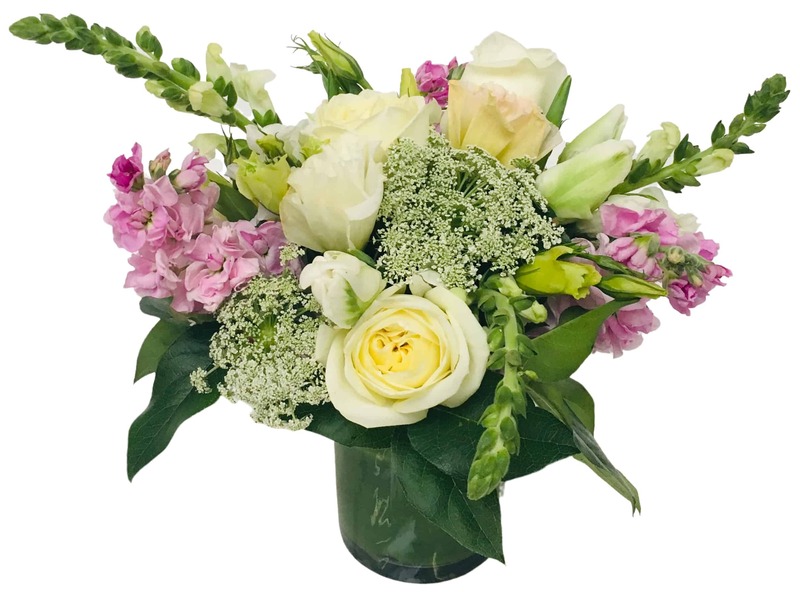 Strong Ivory Polo Roses dominate this beautiful arrangement of soft pastel and neutral colors. Its bold look is nicely finished off in a crisp glass cylinder lined with a ti leaf. This lovely piece would make a great gift to celebrate a new baby, a birthday or to give congratulations.